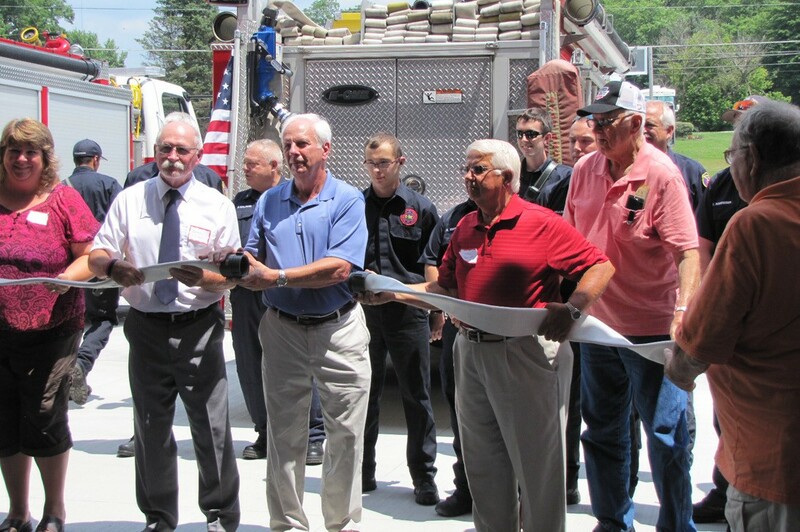 From top: Licking Township’s “version of a ribbon cutting.” Trustees uncouple a fire hose. From left to right, Fiscal Officer Andrea Lynch; Trustees Dave Miller, John Holman and Joe Hart; and the township’s first fire chief, Jerry Franks. Far right, a plaque in the new fire station will honor then 25- year old volunteer firefighter, Roger W. Pierce, who died in the line of duty fighting a barn fire in Gratiot in 1977. 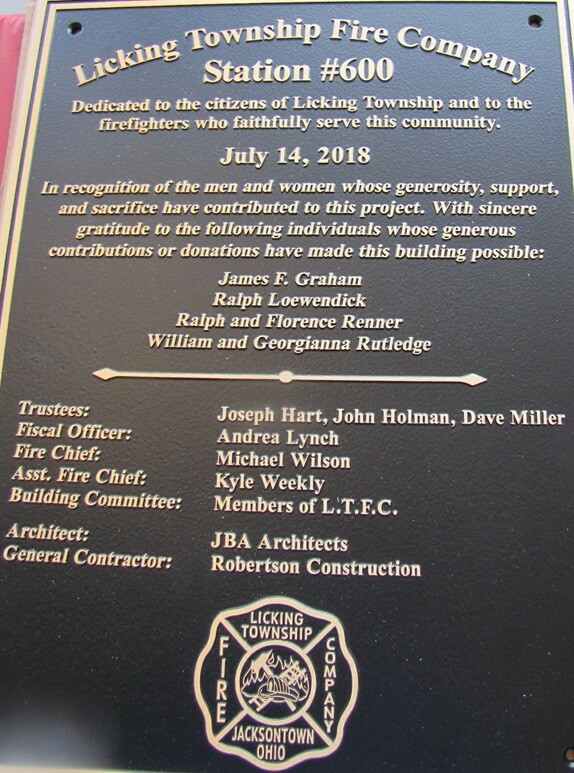 Near right, this dedication plaque thanks the individuals and families who helped make the new fire station possible. 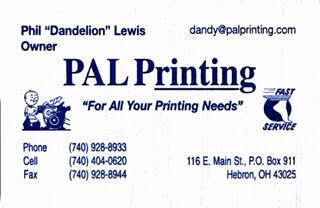 Taxes from the estate of Harbor Hills attorney James F. Graham made up a large part of the station’s funding, supplemented by the estate of Ralph Loewendick. Ralph and Florence Renner made a bequest to the township for a new fire station that became the “seed money” for the new station. 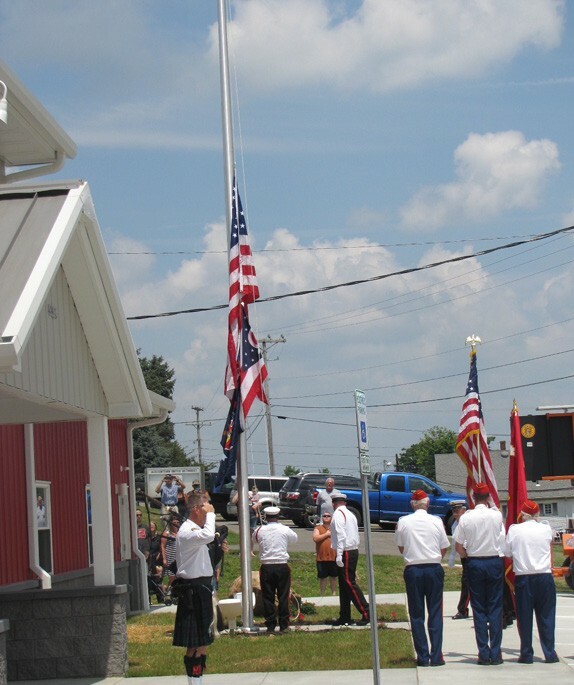 William and Georgianna Rutledge donated the land along Ohio 13 for the township’s first fire station that is now being used for the new station. William Rutledge also served as the township’s first assistant fire chief. Beacon photos by Charles Prince. 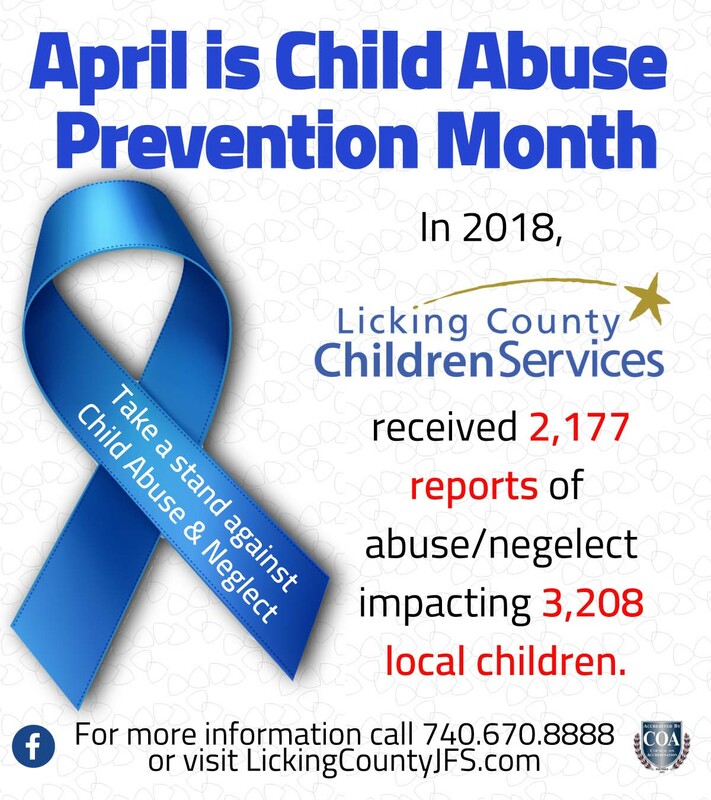 JACKSONTOWN – Last Saturday was a day of dedication and thanks in Licking Township. The nearly one-hour ceremony opened solemnly with bagpiper Frank Hetterscheidt with the Columbus Police & Fire Pipes & Drums. The Licking County Marine Corps League Detachment #602, Licking County Firefighter Honor Guard and Thornport AMVETS Post # 51 Honor Guard jointly presented the flags. 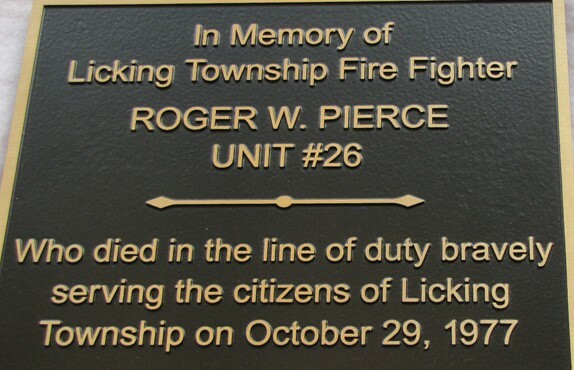 Licking Township’s first fire department was formed in 1962. Trustee John Holman said, “The tax dollars weren’t there, but an unselfish perseverance was there.” That volunteer department’s first chief, Jerry Franks, was applauded Saturday afternoon as was the first chief, John Freas, of the township-owned Licking Township Fire Company. The township’s first fire engine in 1962 was a 1946 Chevrolet purchased from the Millersport Fire Department for $995. Those that couldn’t be present were also remembered and thanked. Licking Township has lost one firefighter in the line of duty. Twenty-five year old volunteer, Roger W. Pierce, died fighting a barn fire in Gratiot in 1977. His sacrifice is commemorated in a plaque in the new station. 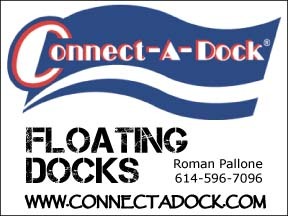 Trustee President Joe Hart said a generous bequest from Ralph and Florence Rennert “became the seed money that allowed us to build the facility.” Taxes from the estate of Harbor Hills attorney James Graham is “a large part of this fire station.” That was supplemented by taxes from the estate of Ralph Loewendick. Hart said next door neighbors William and Georgianne Rutledge donated the land for the first fire station in 1962 that is now the site for the new Station 600. 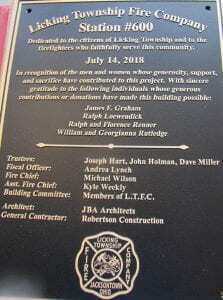 All are recognized on the dedication plaque. Dedication program chair and firefighter Max R. Tharp said they do some things a bit different in Licking Township. The expected ribbon-cutting turned into the three trustees uncoupling a fire hose. The early years of the fire service weren’t forgotten. In those horse-drawn days, firefighters returning from a fire would first unhitch the team and then physically push the fire wagon back into the barn. Saturday, the men and women of the Licking Township Fire Company pushed Engine 601 into its new home (see the photo to the right). There is a slight grade into the station so it took some effort and teamwork. Tours through the two-story station followed the ceremony. 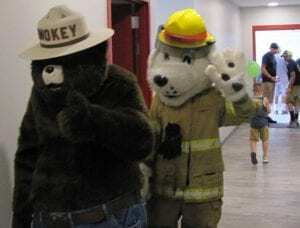 Both Smokey the Bear and Sparky the Fire Dog braved the heat and talked with children. Lakewood cheerleaders helped with childrens’ activities and refreshments. 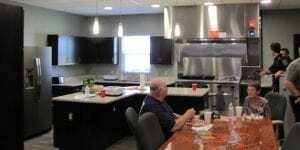 Station 600 (above) has a community room with its own entrance and bathrooms. 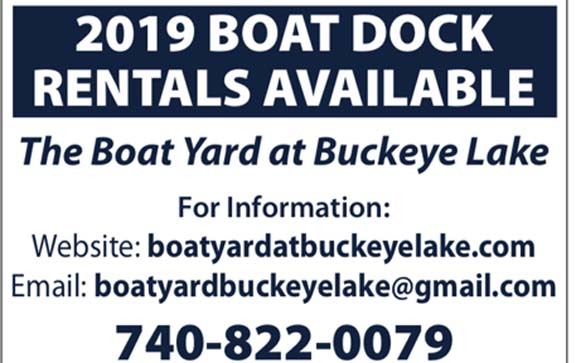 Trustees and township commissions will meet there. Firefighters have a spacious and well equipped kitchen/break room with recliners.